The earnings shared by companies in 2015 amounted to EUR 1,613,345, of which EUR 1,169,640 were deposited to the Economy of Communion, while EUR 443,705 were offered in the form of benefits in kind or spent on the poor or training within each company or in its surrounding region. The profits paid to EoC increased by 28% comparing to the previous year. 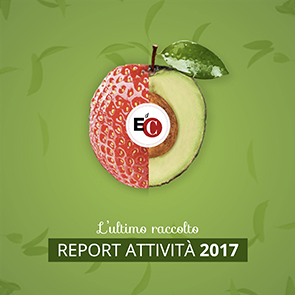 In addition, entrepreneur members of the Italian AIPEC Association have already paid EUR 115,000 worth of profits to AMU for new projects of 2015-2016, and this amount is 25% greater than what the same group shared in the previous year. 50% of the profits of companies were dedicated to the poor as well as all the contribution of those who participate in the project but are not entrepreneurs, amounting to EUR 404,943 this year; therefore the resources available for emergency aid and projects for the poor in this fiscal year amounted to EUR 989,763. 27% of allocated aid was directed to the costs of food, 21% for medical expenses, 13% for housing costs, 25% for schooling and 14% to create jobs. The latter amount has doubled compared to the previous year and the resources not yet allocated will help expand this latter item. Two-thirds of the amounts in the column "shared gains in kind or used for other destinations" correspond to expenses incurred by businesses with purposes of solidarity (internships for young people eager to experience work in these companies, support for persons with reduced capacities, etc.) and one-third is dedicated to solidarity actions by the company in its own region. The number of families receiving emergency aid was reduced by about 30 units, a modest but important sign that speaks of families that managed to leave poverty behind. Part of the resources devoted to job creation has been entrusted to local associations of EoC entrepreneurs, whose experts are committed to identifying the - locally - most appropriate ways to design, evaluate, finance and follow entrepreneurial projects, particularly by young people oriented towards the EoC values. As regards training resources, the disbursement of funding of the Sophia University Institute of Loppiano has been confirmed and the resources for the formation of the younger generation in the Summer Schools have tripled. This year's courses will be held in Douala (Cameroon), Nairobi (Kenya), Prague (Czech Republic) and São Paulo (Brazil), with the participation of about 400 young people. These schools have yielded a growing aspiration of young people to "do business", which is a development of fundamental importance, and a particular commitment with innovative interventions will be dedicated to it in the future.